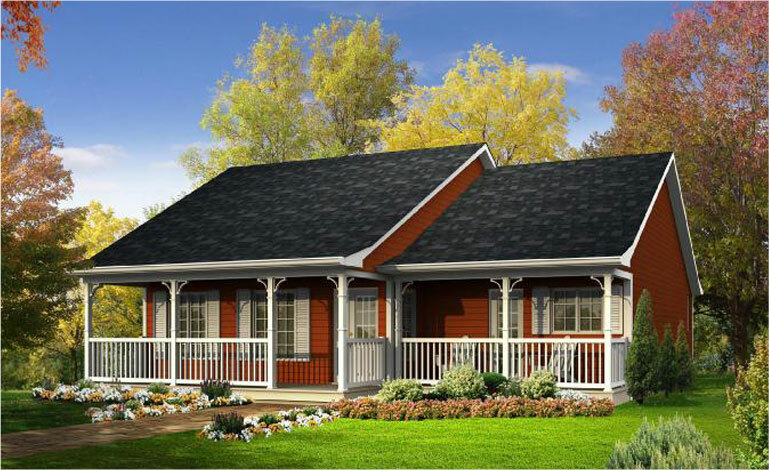 The Leaside is a 2 bedroom bungalow with a cathedral ceiling in the living room and an inviting front entry with covered porch. The home has lots of windows to take advantage of the stunning views of your country or lakefront lot. 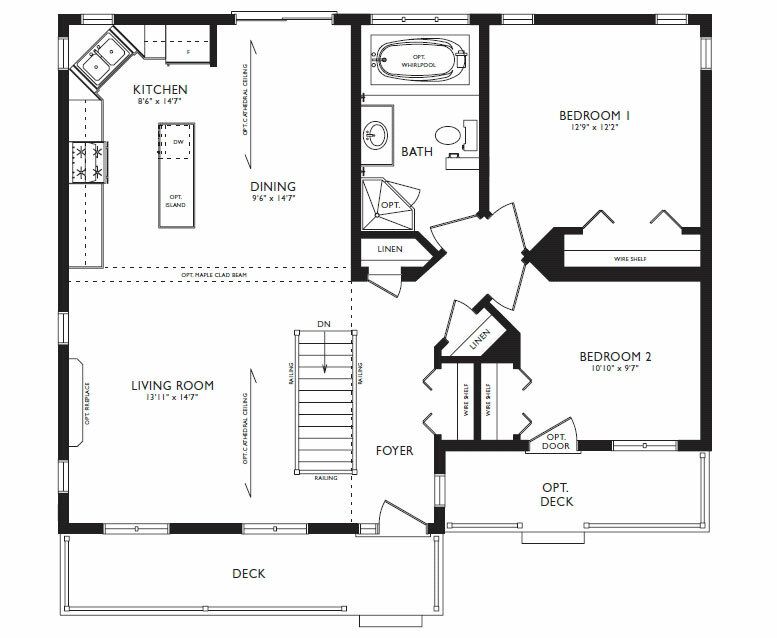 The Leaside boasts two good size bedrooms and a large bathroom with a whirlpool tub. The kitchen opens to the dining room and living room, making this home ideal for family get togethers and entertaining.